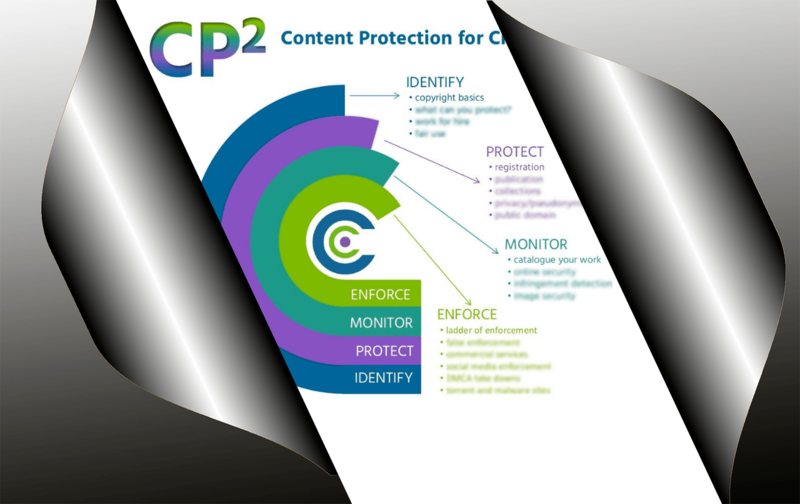 Online protection of any type of content is a challenge. The Internet was designed with sharing content in mind, not protecting it and so gave birth to the modern sharing economy that we see growing up around us. Uber, Airbnb and Zipcar evolved because digital technology has eased the search for and access to underused resources. But in each of those cases, the sharing economy has been monetized to the benefit of the creator. Technological advances have made it possible for artists to make a living from their art because they can promote, market and sell their work to wider audiences. But when it comes to the visual arts especially, like photography and graphic art, the sharing nature of the Internet has added new challenges for artists trying to monetize their work. “Sharing” has become nearly synonymous with “taking.” Artists don’t benefit when their work is taken. 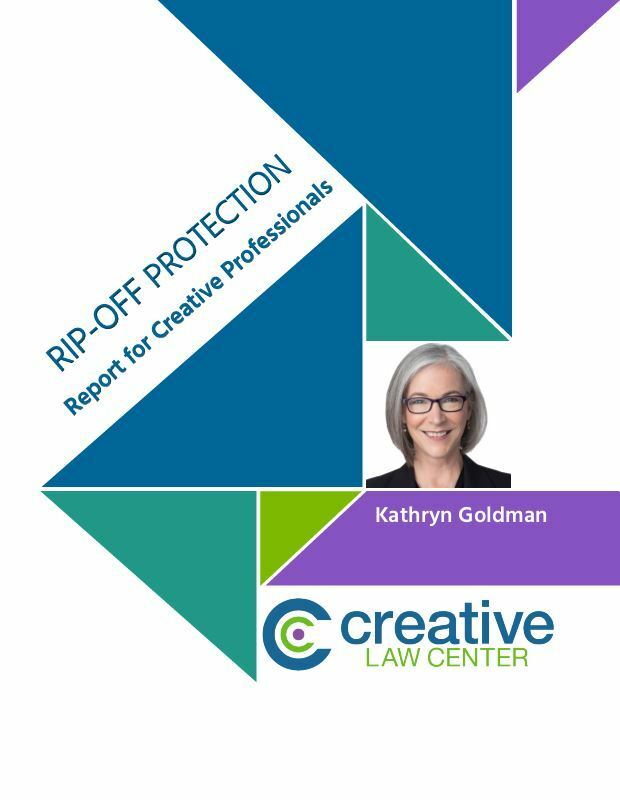 It is more important than ever that visual artists learn and use best practices to monitor their creative work in order to improve their ability to detect infringement or unlicensed use of their images. If you cannot find the infringement you cannot enforce your rights. There is no one single foolproof way to protect your visual work if you show it to other people — whether you’re showing it in a gallery or online — the work can be taken from you. The only sure fire way to prevent illegal copying of your work is not to show it to anyone. That is an untenable solution if you expect to make a living from your work. There are tools available to increase the protectibility of your work by strengthening your ability to monitor it. One of those tools is the embedding of metadata in the digital image of your work before you upload it to the Internet or share it with others who may upload it. In terms of images, metadata is basic information about the image that can make finding and working with it easier. Metadata is embedded in the image and travels with it when it is copied and shared in certain ways. The best way to explain using metadata to monitor your portfolio is with an example. 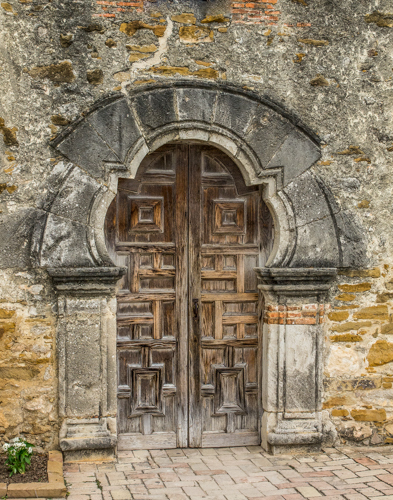 For this example, I will use an image created by Tom Wiggins. Tom Wiggins is an artist whose work has been shown in the Goldman & Minton office gallery. 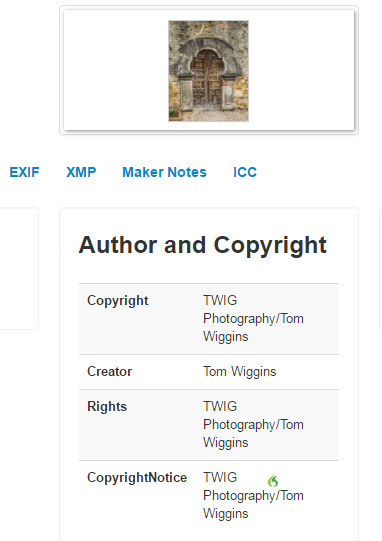 When Tom sent me a selection of images to use on charmcitylegal.com, he had already embedded certain metadata with the image. He included his name as author of the piece and the name of his company and himself as the copyright owner. There was also additional information provided describing the image itself. This metadata included by Tom is basic, yet effective. When the image was uploaded to his profile page on charmcitylegal.com, the metadata was uploaded with it. If you navigate to the image's URL here, you can run it through a metadata checker like metapicz.com and see that the metadata persists with the image. With this very basic information in place, Tom is in a position to monitor his portfolio using Google images. The circled image is the one on charmcitylegal.com. 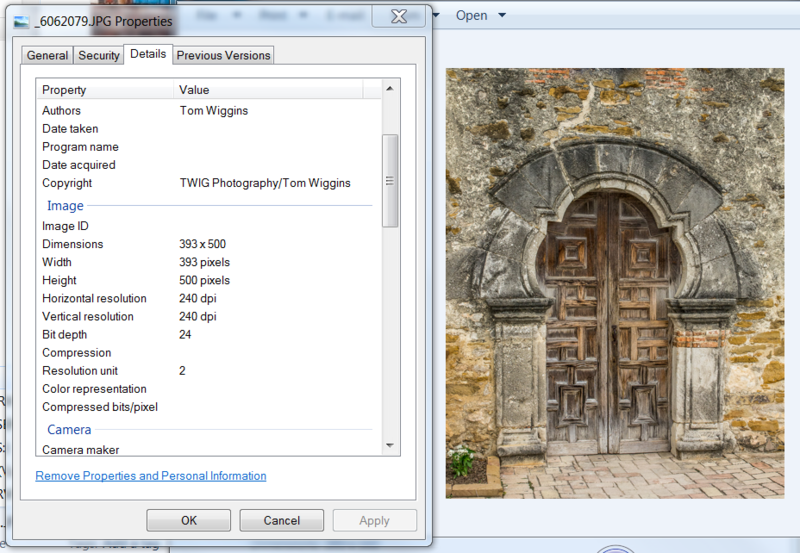 Tom Wiggins has put in place an effective mechanism to monitor the location and use of his images. If someone were to right-click and copy this image from charmcitylegal.com, the metadata would travel with it and he has a better​ chance of tracking illegal use. Make no mistake, this is not a silver bullet. Many online applications and social network sharing sites strip out the metadata of an image when it is uploaded to their site. Some image thieves know how to strip out the information, as well. I recommend that you add metadata to your images anyway.​ Just because you can't stop all infringing uses of your work doesn't mean you shouldn't stop the ones you can. I’m writing a fiction novel. (first time) Is it legal to use a Pinterest writing prompt in my book?